Not so easy to photograph! 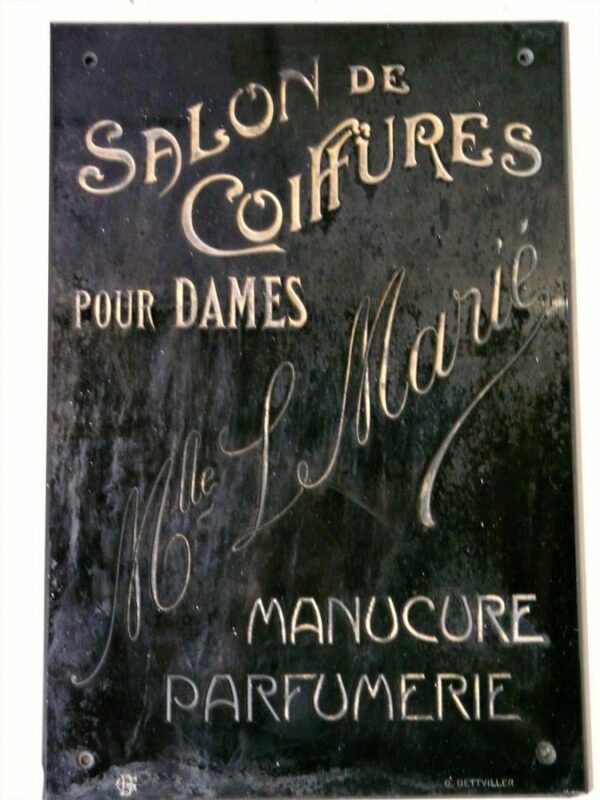 This is a great sign dating from the Art Nouveau period with incised letters highlighted in gold, on a thick sheet of black glass. 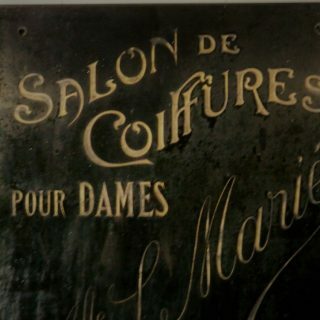 4 holes to fix to the outside wall of a ladies hairdressing salon. 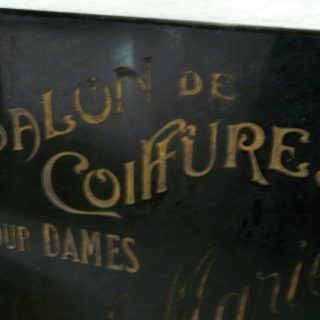 The sign is in good condition for its age with just a little wear to the gilding. Height 63cm and width 43cm.